Welcome to our 12th IAEG Connector! In this issue, we are putting the spotlight on another IAEG officer and our upcoming election of a new president. 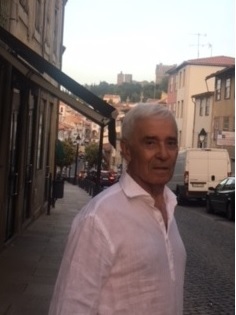 I would like to introduce one of the last members of the Executive Committee, Past President Prof. Carlos Delgado. He was our president from 2010-2014 and was the person who led the team that produced our 50th anniversary book for IAEG. It is incredible! 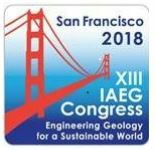 It will be on sale in San Francisco at the IAEG Congress next month. He will retire from the Executive Committee after the Congress. We thank him for the past eight years of dedication to our organization! At the council meeting in San Francisco, we will be electing a new president. 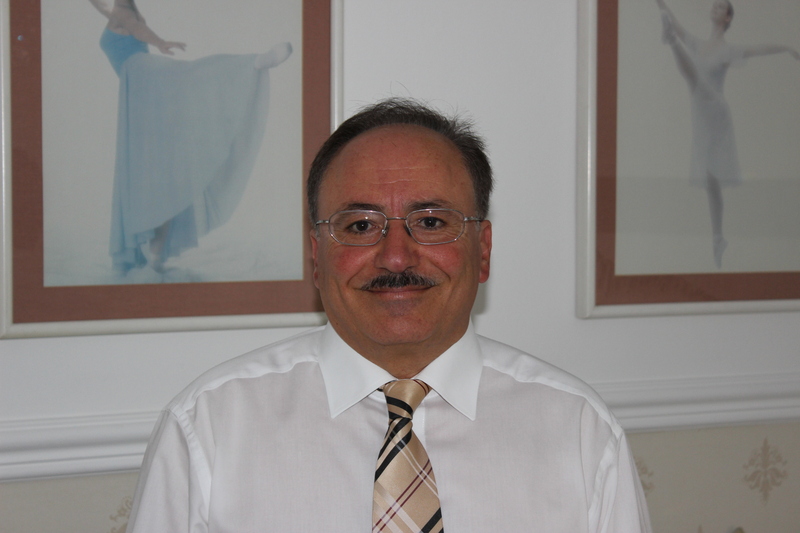 Our first candidate that I would like to present to you is Prof. Rafig Azzam who is currently a Vice President for Europe on our Executive Committee. His photo and statement of intent is below. Our congress is only four weeks away. We encourage you if you have not registered to register soon. The room rate, which is less than 50 percent of the normal rate, ends Aug. 28. We are still short of fulfilling our room block with the hotel to get free meeting rooms, so we encourage you so register for a room. I hope to see all of you in San Francisco next month! First as resident engineer in the Hydroelectic projects in Aguacapa and Chixoy dams in Guatemala, Tipitapa darn (Nicaragua) El Cajon (Honduras), Quixal hydropower tunnel and plant (Guatemala), Guavio (Colombia). Later as project designer and controller in rehabilitation of the King Talal Dam (Jordan), the Seﬁ Rud Dam (Iran), the Mosul Dam in Irak, Uzquiza Dam rehabilitation (Spain). Various tunnel projects, E1 Goloso (Madrid), Peﬁa Angulo (Burgos), extension of line V in Madrid Metro), Zumikon Station in Zurich (Switzerland), soil freezing of the Valencia Metro (Giorgeta Station). Hydraulic foundation works among them: Olympic Port (Barcelona), Fomento Dock underwater parking lot in Gijon harbour, new dock in Seville river harbour in Spain, foundation for the towers for electric line across the Amazon (Brasil), Khulma Power Plant in Bangladesh. He was promoted to director of the foreign department of RODIO and later CEO of RODIO, SA, in charge of Spain, Portugal and Central and South America. Later he returned to teaching at the university, in the Applied Geology and Geotechnics Department of the Madrid Polytechnic. 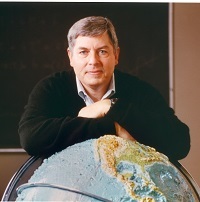 He has directed many research studies in the field of treatment of rock and soils and hydraulic fracturing grouting. He has also directed over 80 final-year projects and doctoral theses, and has given master courses on geotechnic and engineerimg geology. He has published work at congresses and in magazines specialising in these subjects. He has been the Spanish representative of the European Foundation Association and President of AEGAIN (The Spanish Association of Geology applied to Engineering) and is a member of the Jury for Doctorate Theses of ANCI and a fellow of the Arbitration Chamber of the Spanish College of Civil Engineers. He is also a member of the Board of Directors of the Madrid Polytechnic University. At present, he is President of IAEG (International Association of Engineering Geology). During my scientific carrier in the last 25 years as full professor and head of Engineering Geology at RWTH Aachen University, I have focused on worldwide networking in scientific cooperation. With more than 200 publications and supervision of more than 60 Ph.D. students from around the world, as well as being president of the German National Group and Vice President of IAEG, I have gained experience with regard to education and profession. It would be my pleasure and honor to leverage this experience to serve our IAEG. Together with the new executive committee, I am confident that we will be able to promote IAEG in many countries and improve its visibility in the society. Modernization process of IAEG including all IT aspects that are necessary for successful operation. Continuation of reaching out to our members and intensifying the relationship and networking between IAEG and national groups. Reactivating and supporting the regional conferences, joint events with different national groups and promoting the young engineering geologists to organize sessions within these conferences. Revision of the work of the commissions and develop mechanisms to evaluate their work progress. Commission chairs should organize sessions in regional conferences and report to executive. Furthermore, rules should be set up about the work of the commissions and their feedback to the executive. Offer further education and training to the members such as summer and winter schools, especially for young engineering geologists, by inspiring senior members to offer courses and visit low-income countries to support their national group in education and organization of scientific events. IAEG can act as a catalyst to mobilize the synergy of universities, research institutes and industry. Encourage the national groups to plan organized, well-focused field trips for senior and young engineering geologists together. I am confident that I will be able to motivate the new executive committee as well as the presidents of the national groups to work hand in hand to achieve the targets for the benefit of our IAEG.